This tour features both traditional and modern part of Tokyo. Firstly we visit Meiji Shrine, the largest in Tokyo. It is dedicated to the deified spirits of Emperor Meiji and his consort Empress Shoken. The shrine is made of Japanese cypress and built in a classic Shinto architectural style. 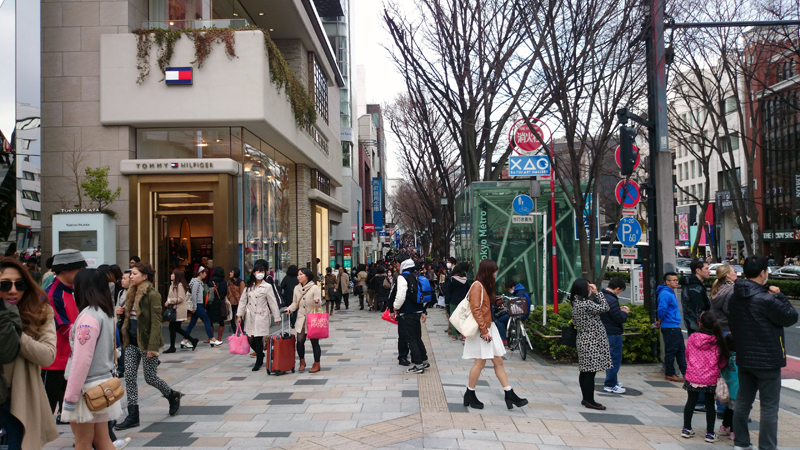 Close by is Omotesando shopping street, one kilometer long, Zelkova tree-lined avenue. It is known as an up-market shopping area featuring high fashion brands. You will find eye-catching designed buildings by prominent architects such as Tadao ANDO, Toyoo ITO, and SANNA(Kazuyo SEJIMA and Ryue NISHIZAWA). The tour will be concluded to visit Ueno area. Ueno park was founded in 1873 on the grounds of the former Kaneiji temple. Most of the Kaneiji was destroyed during the 1868 Meiji Restoration but some structures such as Toshogu shrine and Kiyomizu Kannondo can still be visited today. The final destination is Ameya-yokocho Street. You can find everything from fresh fish to watches at bargain price. We can have a drink at a tavern on the street if you wish and listen to conversations which ordinal Japanese workers have. Mon., Tue., Wed., Thu., Fri.,Sat.